Mahavir Jayanti is one of the most significant religious festivals that belong to the Jain community. It is celebrated with great interest across India and across the globe to celebrate the birth of and philosophies of Lord Mahavira, the 23rd and last Tirthankara and the founder of Jainism in India. Jainism is a peaceful religion that celebrates the beauty of simplicity. The core values of Jainism are such that they do not believe in any sort of violence like they do not even believe in killing an insect. 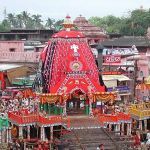 The celebration of the festivals is usually carried out without any kind of drama and lacks much pomp and show. It is a festival which is celebrated in a quiet manner to celebrate the birth of their saint, Mahavir Jain. There are basically four types of Jains: Digambars, Svetambaras, Deravasis, and Sthanakvasis. The reason why the worship rituals of Mahavir Jayanti are not celebrated in a grand manner like the other festivals is because the founder of the religion or their leader was not in favor of idol worshipment in its ideal sense. Out of the four types of Jains, only the Deravasis go to temples while the others stick to their own ideal faith and consider themselves purest when internalized. When is Mahavir jayanti Celebrated? As per the ancient Jainism texts which have documented the birth of Lord Mahavir, Mahavir Jayanti falls on the thirteenth day of the waxing moon in the Hindu calendar month of Chaitra. 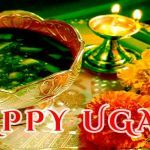 Chaitra is known as the first month of the Hindu calendar and as per the Gregorian calendar, it refers to the month of April-March. Thus, people celebrate Mahavir Jayanti on the thirteenth day of the rising moon in the month of Chaitra. Mahavir Jain was born in the 5th century B.C. in the Royal Ikshvaku dynasty to King Siddhartha and Queen Trishala. Other Indian Gods like Rama Chandra & Gautam Buddha also belonged to the same dynasty and the Jains strongly believe that their twenty-one out of twenty-four Tirthankaras also belonged to the same dynasty. Being born is a royal family, Lord Mahavir’s childhood was spent in prosperity and abundance, as a prince. Mahavir’s parents were dedicated devotees of the twenty-third Tirthankara known as Parshvanatha and this had a significant impact on the personality of Mahavir in the long run. The Svetambara Jains claim that Mahavir was married to Yashoda and the couple even had a daughter named Priyadarshana but the Digambaras challenge it and claim that he was never married at all. Mahavir Jain ruled his kingdom faithfully till the age of 30, and after that, he gave up all the luxuries & comforts of royal life and began his journey in search of spiritual truth & awakening. He spent twelve years of his life after that as ascetic. He spent most of his time practicing meditation and preaching non-violence to people around him and also displayed utmost care and compassion to all living beings. Mahavir got rid of all the material possessions and focused on the real things and looked towards finding the real meaning of life. He preached the importance of sticking to the truth and non-violence along with the message of not owning anything and not stealing anything. He later formulated all of his teachings and created a religion and named it Jainism. 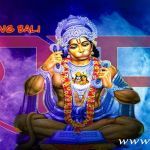 Mahavir attained Kevala Jnana(Infinite knowledge & wisdom) at the age of forty-two under a sal tree near the banks of Rijupalika river at a place called Jrimbhikagrama which is located in modern-day Bihar. After attaining Kevala Jnana(Infinite knowledge & wisdom), Lord Mahavir roamed around various places in India for thirty years and taught his philosophy. More than 1400 male ascetics, 36000 nuns & a half million male & female followers were his disciples. Mahavir Jayanti is celebrated throughout India and mostly among the Jain communities. Even though the Jains believe in simplicity and don’t believe in celebrating things in a grand manner, still there are few important rituals that they uphold. One of the most significant traditions that the followers of Jainism follow on the day of Mahavir Jayanti is, they visit various Tirthankar statues and temples. They carry out processions by holding pictures and images of Lord Mahavir. Pujas are carried out at various temples to honor the statue of Mahavir and people offer flowers, rice, fruits, and abhishek it with milk. One can also see gatherings of people where they preach the core values of Lord Mahavir and they even narrate his life story. Many followers of Jainism observe fast on this day and kheer(a sweet dish) is prepared in most houses to mark the occasion. 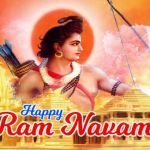 There are various legends linked to the early as well as previous lives of Saint Mahavir and there is one legend connected to his Nirvana(death). As claimed by the ancient mythological legend of Jainism, Mahavir took 27 rebirths before he took birth as Mahavir in the sixth century. As per the legends, he had taken birth as a resident of hell, a lion, and also as a God before he finally took birth as the twenty-fourth Tirthankara. The Sventambaras claim that the embryo of Mahavir was initially formed in a Brahmin woman and was later transferred into the womb of Trishala by the commander of Lord Indra’s army, Hari Naigamesin.Another legend states that Lord Indra himself had come down on to the earth to perform the anointment of Mahavir at the Sumeru Parvat during the time of Lord Mahavir’s birth. Many historians believed that the teachings of Lord Mahavir were different from that of his contemporary Gautam Buddha in so many ways. Teachings of Mahavir put emphasis on the existence of the soul while Gautam Buddha rejected such details. The teachings of Lord Mahavir are considered to be more intense in nature and his emphasis on ahimsa or non-violence is not common in other religions. 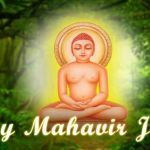 For the sole purpose of attaining spiritual peace and enlightenment, Mahavir emphasized on taking five vows. They are ahimsa or non-violence, Satya(Truthfulness), Brahmacharya(Chastity) and Aparigraha(Non-attachment).One of the most significant facts about Mahavir Jayanti is, it spreads a sense of compassion towards the sufferings of other living beings and promotes charity as well. The Jain devotees donate money and other valuable items to the ones who are in need and they do it irrespective of caste, creed, or religion.